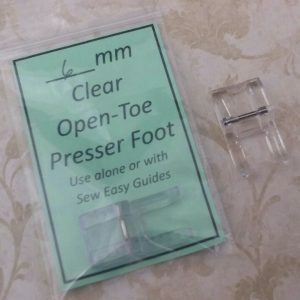 Print-your-own Needle and Stitch Reminder Labels for your Sewing Machine and/or Serger! 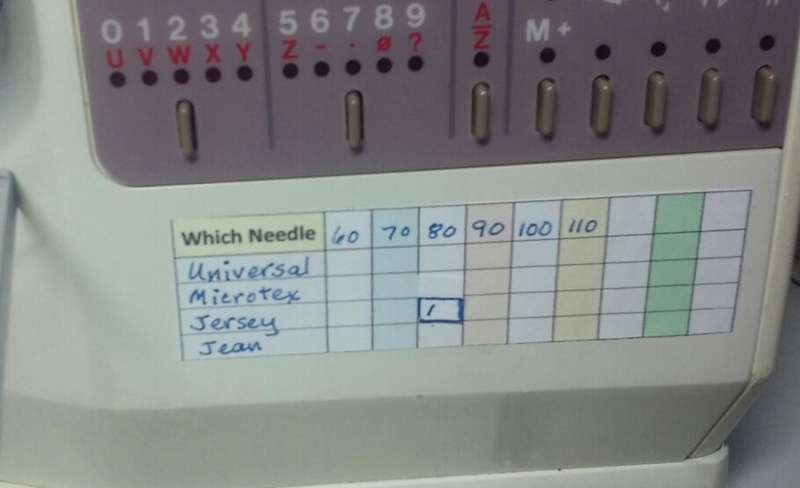 Each label is 1″ x 3.5″–the easy way to know which needle is in your machine and which stitch your serger is set for! Write-in style form, so you can customize to your most-used needles and stitches. Used to, when I wanted to know which needle was in my sewing machine, I had to remove the needle and try to read the extremely fine print on its shaft. Or, try to keep track of a multi-needle holder that always seemed to wander away from my machine (or maybe the machine got moved). 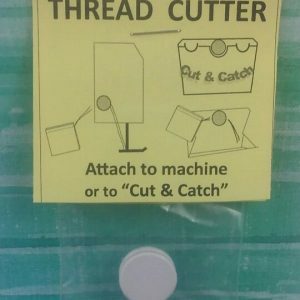 Tired of wasting time wondering which needle was in the machine (and how often it had been used), I came up with the Which Needle label (and its cousin Which Stitch—more on that in a minute). 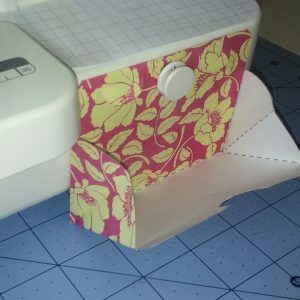 The non-bulky Which Needle label is always on the machine (sewing machine or serger)—right where you need it/use it. 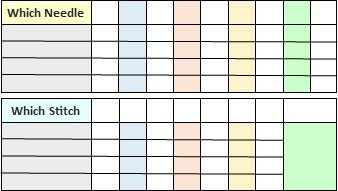 You can write in YOUR most frequently-used needle types and sizes (and change them as often as you please). The marker/indicator remembers which needle is in the machine, so you don’t have to. Also, how about all those serger stitches, and how it is nearly impossible to tell them apart without checking several settings? Do you ever leave the machine for a few days and come back to it wondering which stitch it is set up for? I did—and yes I could figure out which stitch it was threaded for– given time. But why not have a Which Stitch label that is like an assistant who never forgets? Again, the label is ON the serger—no runaway notes here! 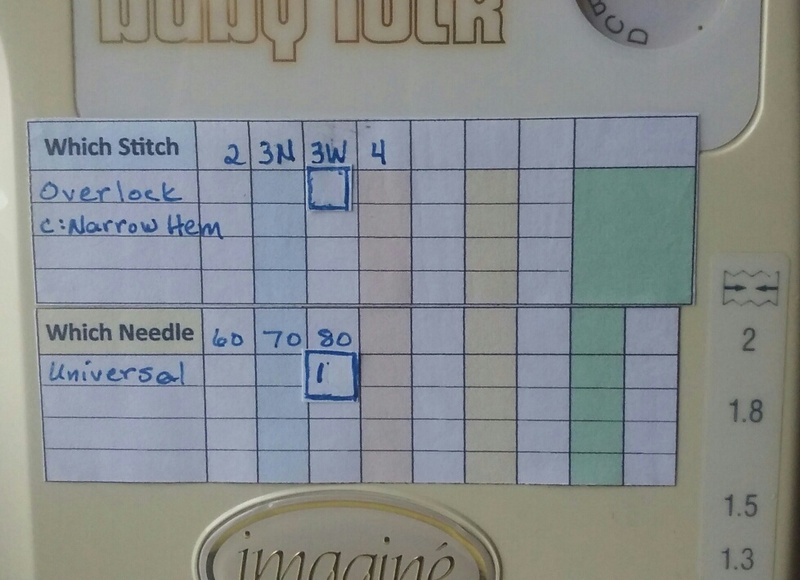 Write in your most frequently used stitches, then use the marker/indicator circle to designate which stitch the machine is on, before you take a long break (example: “3-thread overlock narrow”), and when you come back, know immediately which stitch it is set for and whether it is the one you want for your new project. You get BOTH the Which Needle and Which Stitch printable when you order. 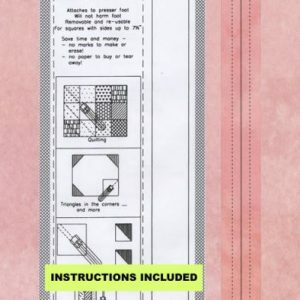 The instructions tell you how to easily get them printed on labels on your home printer (and an alternate method if you do not have labels), and shows examples of how to fill them out and use them. Don’t waste another minute wondering which needle and which stitch—know for sure! Post-it® Super Sticky Label Roll (available at office supply stores and/or online) Make sure you get the white label roll that has full adhesive from edge-to-edge. These labels are removable and reusable—they stick very well on the smooth part of the machine, yet leave no residue if removed. If you can’t find Super Sticky labels, other 1” x 3.5” removable labels could be used, but may not perform the same. OR, if you do NOT have adhesive labels, use Alternate Instructions for steps 1-3. Please note: Instant Download patterns and printables orders are non-refundable—please contact me (sara@sewtogether.net) if you need help downloading. Thank you!